The annual IF PAS Winter School started on Tuesday evening in the familiar environment of Hotel Galaxy. 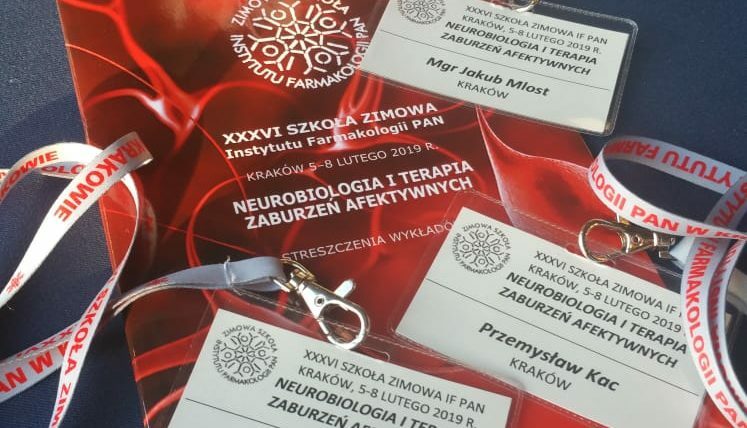 The main theme of the 2019 conference was “Neurobiology and therapy of affective disorders”. XXXVI IF PAS Winter School was inaugurated with a fascinating lecture by prof. dr hab. 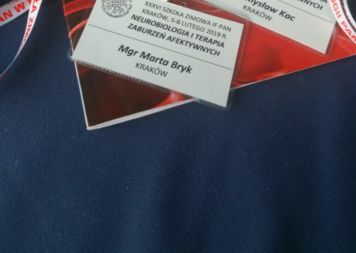 Mirosław Ząbek from Centre of Postgraduate Medical Education in Warsaw. We followed from the very first neurological surgery operations to most recent and still experimental therapies that included the use of adeno-associated virus (AAV) which restored the lack of Aromatic L-amino acid decarboxylase (AADC) expressing gene. After the lecture all the participants moved to the banquet hall to take part in a welcome reception. After a constructive and pleasant start to a Tuesday, we were full of energy and hungry for knowledge. The very professional and interesting choice of speakers suggested that this day would be better than we expected. And so it was. The opening lecture on Wednesday was about bipolar disorder – actual knowledge and clinical problems of it. Discovering that bipolar disorder may not be strictly brain-dependent but a somatic disease with psychical symptoms inspired us to zestful discussions during the first coffee break. 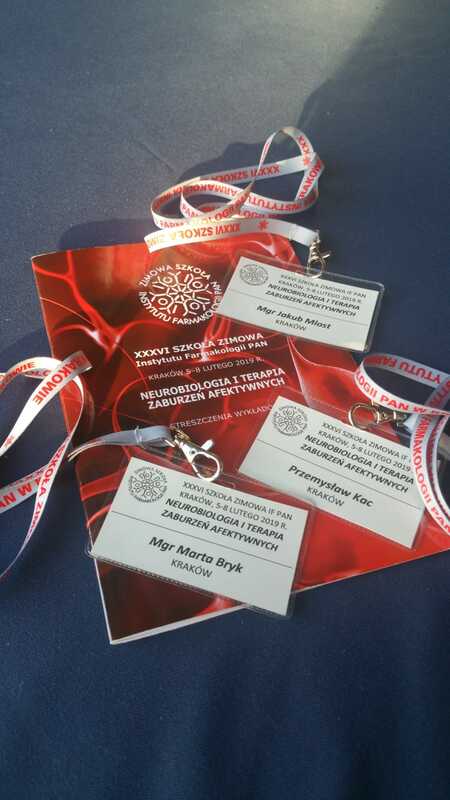 Lectures about using psychobiotics in the treatment of affective disorders, new approaches in depression treatments and metabolic changes observed in major depressive disorder were very educative but our attention has been particularly drawn to the lecture about the role of endocannabinoid system in pathogenesis of depression, which served as an interesting opening for discussion. At the end of the day we knew that despite our interests in studying mechanisms of depression, there is still a lot to discover. 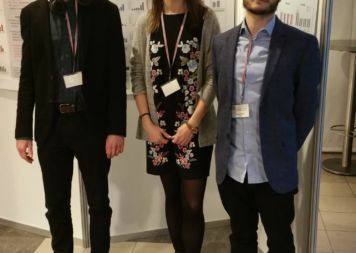 On Thursday, apart from scientific lectures, PhD students of IF PAS had a chance to present their own research results during the poster session. 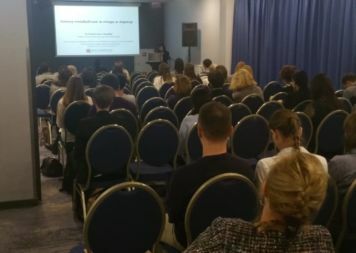 Marta Bryk was talking about the role of synoviocytes in inflammatory processes, which assists osteoarthritis progression. 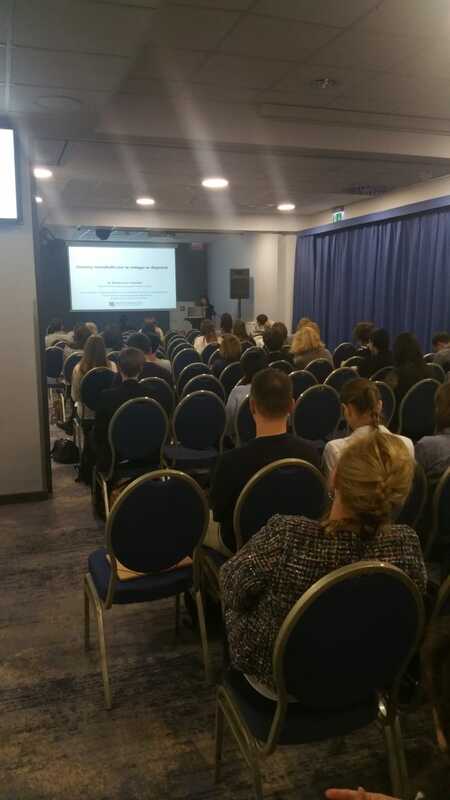 Kuba Mlost was talking about the influence of functional selectivity of CB2 receptor agonists on analgesic effect in osteoarthritis model. A Scientific Committee subjected all posters for evaluation. Following on from the poster session, we indulged in a wonderful Conference dinner which was accompanied by a jazz band. Thanks to the nice scientific atmosphere and great food we had an opportunity to relax after the exhausting but very productive week. 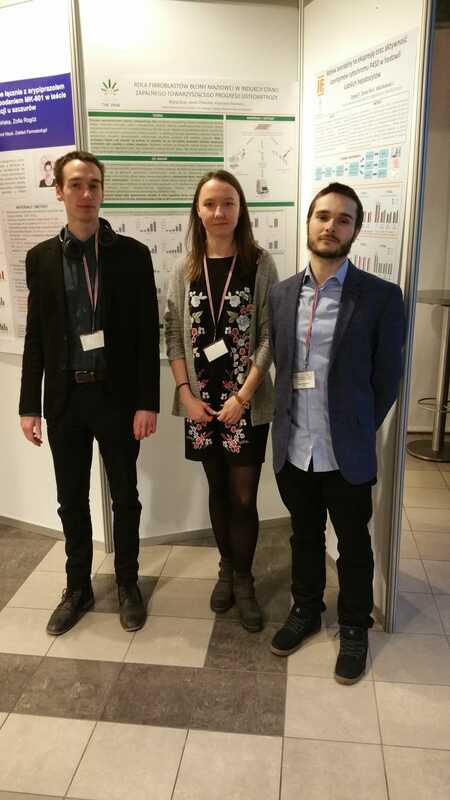 Marta was appreciated by the scientific committee and she obtained award for the best poster. That made us all very proud of her, so congratulations again, Marta! The sunny weather made it an easy-going morning up to the afternoon when there was time to formally finish XXXVI IF PAS Winter School with a good dose of novel knowledge. We can conclude this school as a perfect example of a very well organized and high-level scientific standard conference. There were no weak points and we are looking forward to participate in XXXVII IF PAS Winter School next year!